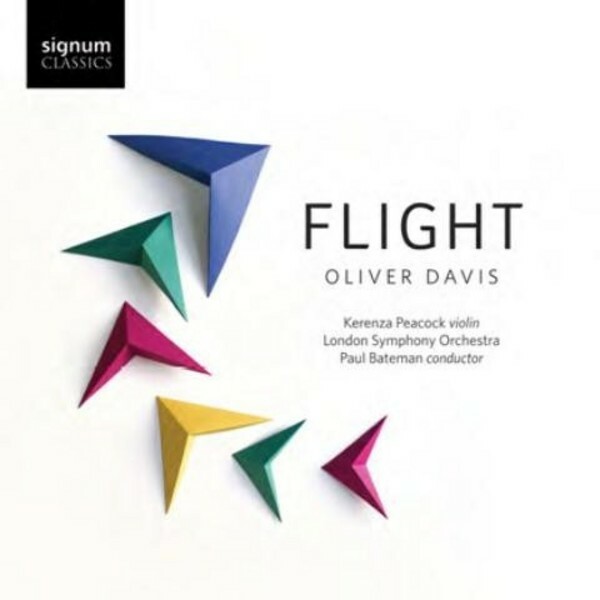 'Flight' is the stunning new album of works from British composer Oliver Davis (b.1972), composed for and in collaboration with violinist Kerenza Peacock. 'Flight' captures the spirit of movement and energy present in many of Davis�s compositions, which have led to frequent collaborations with groups such as the Royal Ballet and a great number of TV commissions. On this disc the works are performed by Kerenza alongside the London Symphony Orchestra and pianist Huw Watkins, under conductor Paul Bateman.